Told through various flash backs this movie centers on the relationship of Dean (Ryan Gosling) and Cindy (Michelle Williams). It's a character piece with very little plot. So don't watch it if you're not into movies where it's ALL about the characters and their endless struggles! I think the storytelling is brilliant and some of the flashbacks interweave brilliantly. But the most important part of this movie is the performances. 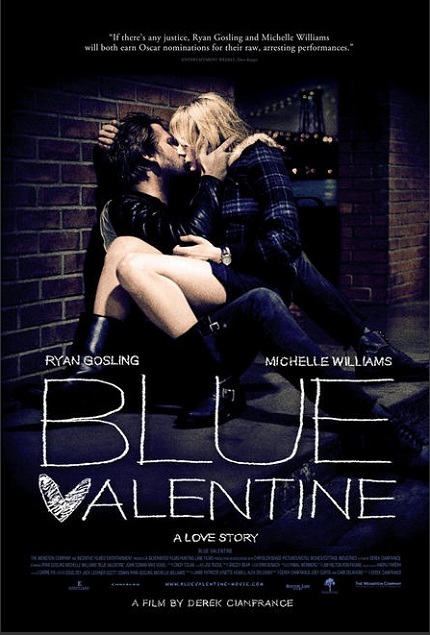 Both Ryan Gosling and Michelle Williams are BRILLIANT. Watch it, if not because it's a great movie...then for the performances!